I have been a long-time fan of Orla Kiely's beautiful and modern prints, bags and textiles. The way she combines bold color and pattern is an homage to vintage mod yet fresh and innovative at the same time. 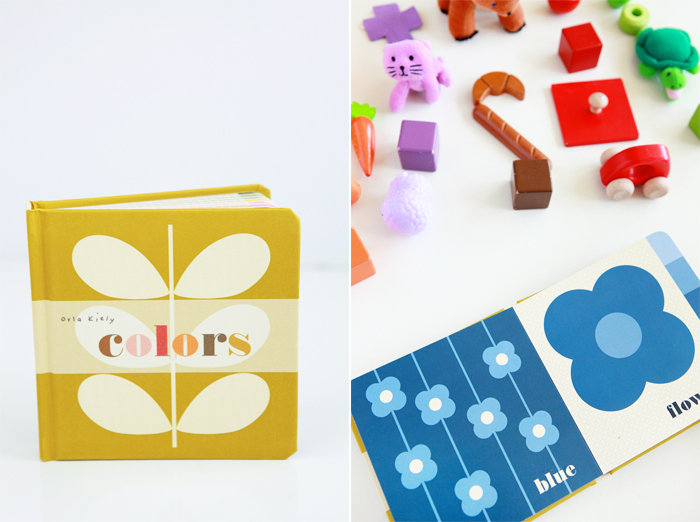 In Colors, Orla Kiely's design sensibilities translate well to a board book about colors for babies, toddlers and young children. Her familiar stylish and playful icons and graphics grace each set of pages. After we read and admired the different prints and shades of color on each page, we sorted objects by color in different columns to create our own interesting designs. 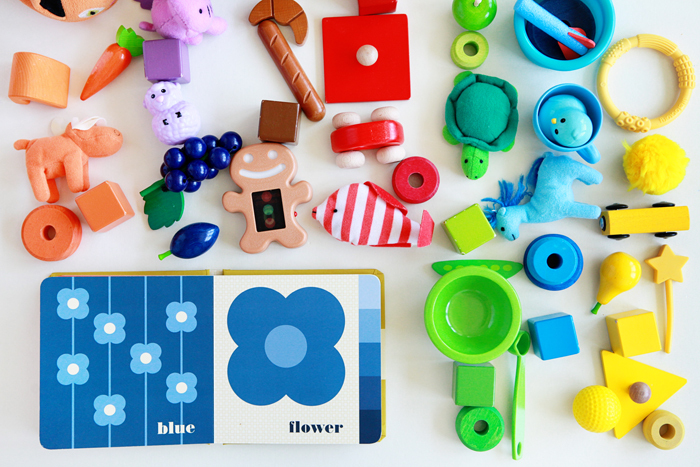 Thanks to Land of Nod for sending us this gorgeous board book!